"Find your Fierce" is an inspiring event designed and hosted by Kayla Boyd. The ultimate ladies luncheon is a day for self-love, luxury, entertainment and empowering connections covering all things life, love, career and womanhood. 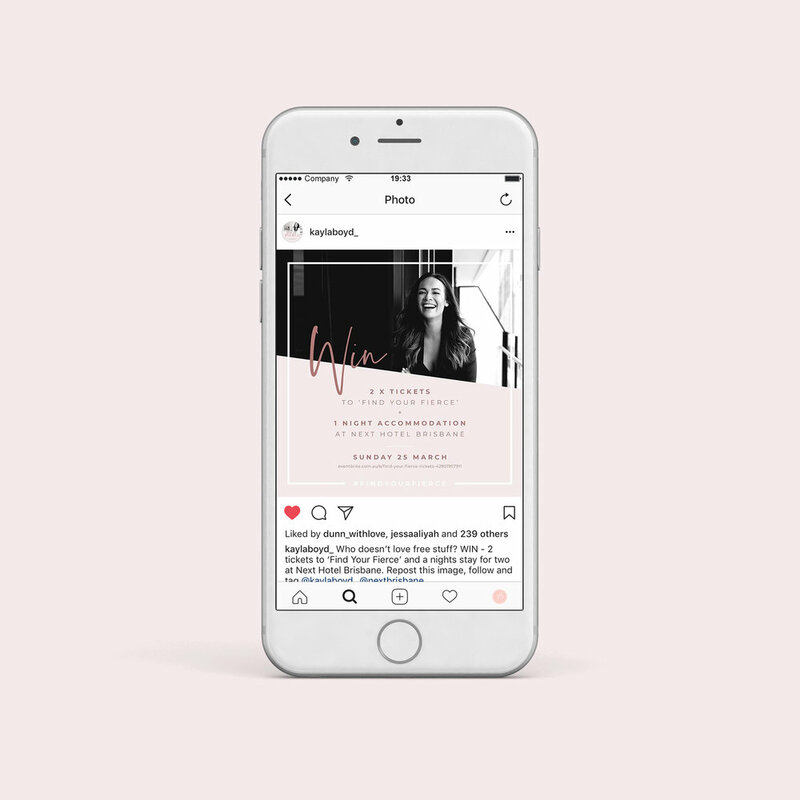 "Find your Fierce" event founder and organiser Kayla Boyd required an event logo and branded collateral that would reflect her passion and commitment to inspiring and empowering other women. The logo was to be a fun and feminine extension of the Kayla Boyd brand that would be uniquely designed for the event. The final design evolved to cover branded social media posts, Instagram stories, Instagram competitions, sponsorship packs and on the day event signage. "Tahlia is incredibly talented at what she does. When I contacted her to create the branding for my event she understood the vision as if it were her own and she delivered above and beyond my expectations. She is an absolute pleasure to work with and produces concepts in a fast paced manner, even when she is on the other side of the world. I have since asked her to create the branding and website for my husbands brand we are launching very soon again, she has achieved an outstanding result. Thank you so much Tahlia, I love working with you and look forward to continue working with you in future."